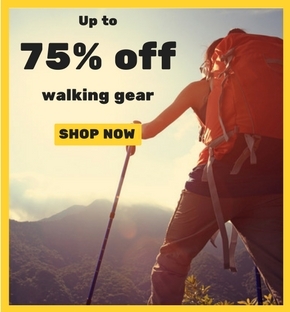 Here at Winfields Outdoors, we are big believers in finding the best quality camping equipment at fantastic prices. That’s why we are proud to stock an exclusive range of Vango camping gear, available only at Winfields Outdoors this year! Featuring a selection of top-of-the-range tents, sleeping bags, camping chairs and more, we’re confident that they will be bestsellers this season. The Vango Keswick tent is available in three variations, which we’ll go into more detail about below. They are all fantastically spacious, though, making them brilliant family tents. The Vango Keswick 600 Tent offers fantastic value for money. 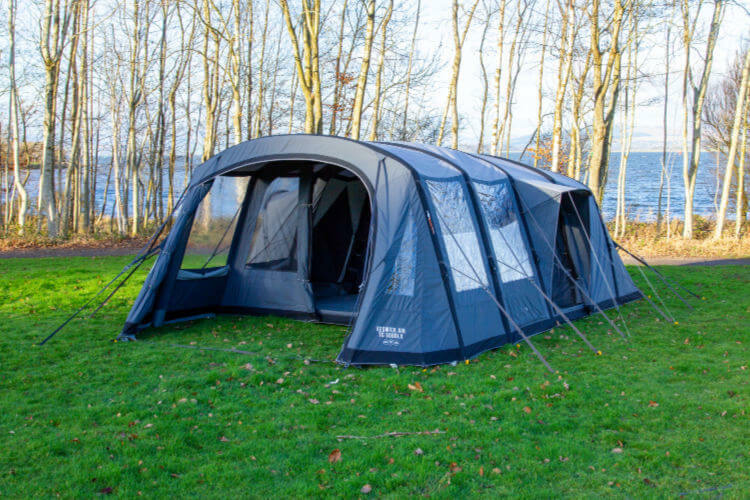 It’s assembled with Vango’s PowerFlex pre-angled fibreglass poles, which are incredibly strong and easy enough to erect in as quickly as 20 minutes. Inside, you can easily walk around the generous living area at standing height – there’s plenty of room to fit a dining table in there, too. For sleeping, you can decide between having one or two private bedroom areas, both with ‘lights out’ fabric to minimise early morning sunlight. The attached front porch area is also a great addition, whether you use it for dining or a little shelter from the sun. There’s also a handy side entrance, complete with a canopy, to stop any pesky rain dripping in. If the Vango Keswick 600 sounded good to you but you’d prefer an air tent, your wishes have come true! The Vango Keswick 600DLX Air Tent boasts many of the same features, but uses Vango’s pioneering AirBeam technology, so you can have it pitched in half the time. Like it’s poled version, you get the benefit of a brilliantly spacious living area, adjustable ‘lights out’ bedrooms, and an attached porch and side entrance. They also both come with an oversized carry bag, high visibility guylines, lantern hanging points and living area pockets, all making this tent exceptionally easy and convenient to use. The Vango Keswick Air TC 600DLX Tent is brand new for 2019 and is already setting itself up to be one of the best tents of the season! Along with boasting Vango’s AirBeam technology, it features top quality polycotton fabric. This makes it longer lasting, more breathable and better insulated than a standard polyester tent. However, that’s not to say the polyester tents are inferior – these benefit from being lighter, easier to pack and more waterproof, so it’s down to which one suits your needs best. Another point of difference this tent offers is its handy side pod. Adjoined to the living area, you can use it for storage, a private dressing area or even to keep your portable toilet. There are two new and updated Vango Lomond tents available exclusively at Winfields Outdoors, too. They are the Vango Lomond 500 Tent and the Vango AirBeam Lomond 500 Air Tent. As you may have gathered, the point of difference between the two is that the former is erected with Vango PowerFlex® fibreglass poles, while the latter utilises Vango AirBeam technology for an inflatable version. Sleeping up to 5 people, these tents are better for smaller families or even couples who need extra storage space. From the outside, they look brilliantly modern, while inside you can enjoy a living area and two private bedroom areas. Along with an exclusive range of tents, we also have a selection of exclusive Vango camping accessories, available only at Winfields Outdoors. You can choose between three variations of the Vango Keswick 375 sleeping bag. The Vango Keswick 375 Sleeping Bag and Vango Keswick 375 XL Sleeping Bag are both 3 season bags that can do the job from an extreme limit of -14°C to an upper limit 20°C. Perfect for family camping holidays, they are slightly wider than standard rectangle sleeping bags to allow extra legroom. They’re also super cosy, thanks to the hollow fibre insulation. For couples, the Vango Keswick 375 Double Sleeping Bag is ideal. This 2 season double sleeping bag has an extreme limit of -10°C and an upper limit of 20°C, so is well within what you’d need for UK camping trips. Every camper needs a good chair for relaxing in after a long day hiking! The Vango Keswick DLX Chair and the slightly taller Vango Keswick Tall Chair boast padded seats and backrests that can be positioned in 6 different settings. With durable steel frames, you can enjoy the comfort of these chairs for many seasons to come, whether that’s at the campsite or just in your back garden! It’s always those extra bits of camping kit that can really make your trip go as smooth as possible. The Vango Keswick 4 Pole Windbreak is ideal for adding onto your tent. Perfect for adding a little privacy to your pitch or for sheltering your picnic from annoying breezes, you’ll never be without its benefits once you’ve tried it. Packing away into its own carry bag, you can set it up and move it around easy and conveniently. What we also love about it is its Diamond Clear windows, meaning you don’t feel too cut off from your surroundings. Shop our full Vango Exclusive Range here! For more, see all of our tents, sleeping bags and camping furniture. The 10 Best Family Camping Tents Revealed 2019 | The Best Caravan Awnings 2019 | Tent Peg Guide – Which Type Should You Use?